Iqamah Times on WordPress, iPhone, Android, and more. "MasjidNow was quick and easy to use. I successfully input my timings for the month of April in about 30 seconds." MasjidNow was quick and easy to use. I successfully input my timings for the month of April in about 30 seconds. January - May took only a few minutes... May Allah reward you for the service you are providing. I am highly impressed with your site and wish you all the success. 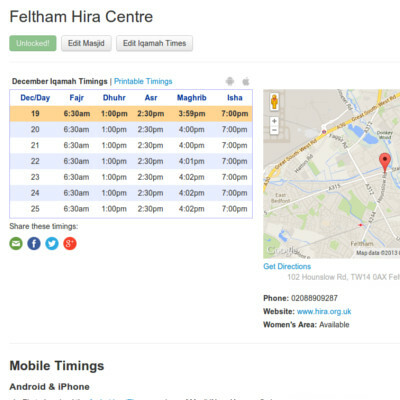 We offer an easy to use embed code for iqamah and adhan times. Just copy & paste the plugin, and you're done. The plugin allows any visitor to your website to see the timings for the day, month, and even the year. On iPhone & Android. Fully featured apps. Our mobile apps for iPhone and Android are fully featured, with daily and monthly iqamah timings, monthly masjid info, push messaging, and more. 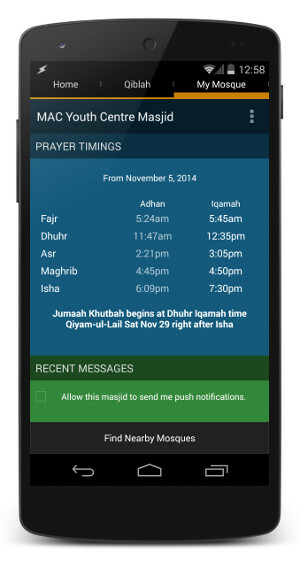 Signing up with MasjidNow lets you show your masjid's iqamah and adhan timings on every phone immediately. On the Web. Available to anyone. Even if you don't have a website for your mosque, you can always just tell local Muslims to visit masjidnow.com and search for your mosque. 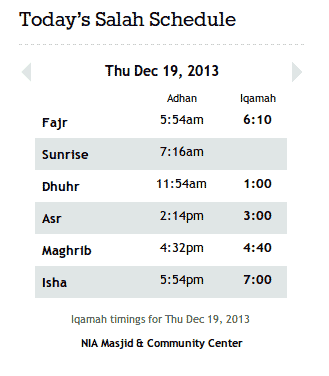 You can display iqamah and prayer times as well as directions and general information about the mosque on our website.